…. These are the words I say to my 4 year old. It is such a challenge as a parent to ensure your kids are brushing properly especially when they want to start doing it on their own. My daughter and I have become “toothbrush testers!” We have gone through toothbrushes like nobody’s business! I mean we should all be changing our toothbrushes on a monthly basis at minimum so with my daughter its this fun filled activity on which will be next when its time to pick out a toothbrush. She has had multiple toothbrushes that had characters on them, electric brushes, brushes that make sound, and even toothbrushes that you can decorate with stickers. 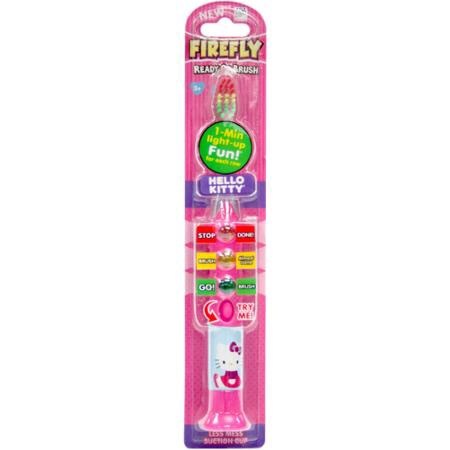 We finally found the best one and its made by Firefly and is a great price right at Walmart! I love this one because it gives children indicators on when to start and when to stop. This ensures that they are brushing as long as they should be. Children should brush for at least 2 minutes according to WebMD. I instructed my daughter that when the light is green focus on teeth, when yellow focus on tongue, and when red it is time to rinse. She loves it and it has made brushing teeth FUN. 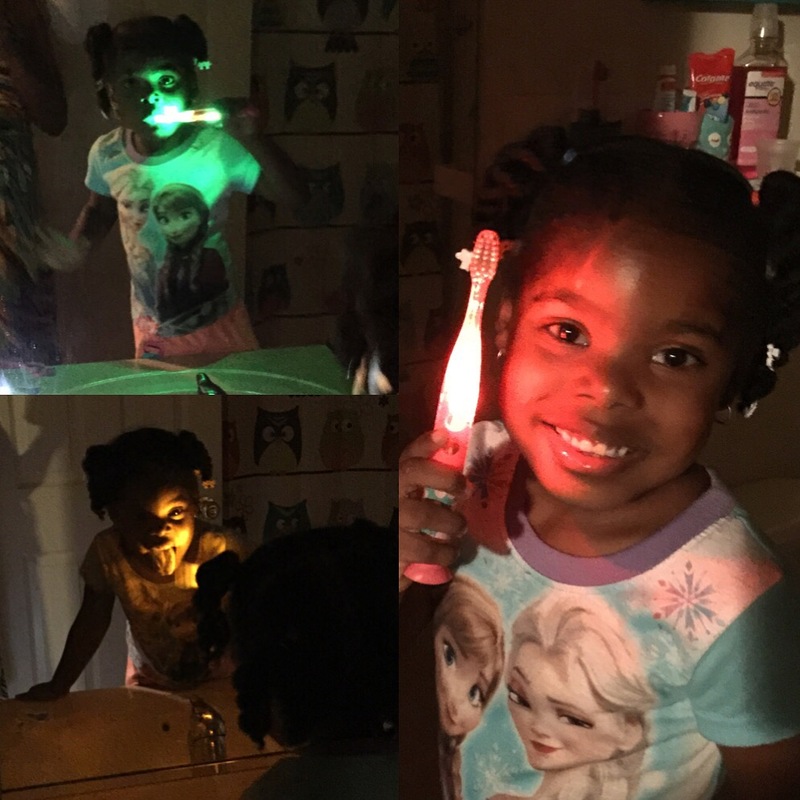 Now my daughter says she must brush in the dark to let her toothbrush luminate even more! Lol. Check out an earlier post on What’s in your Toothpaste? You might want to start using a new one!